Need a good english Dictionary? 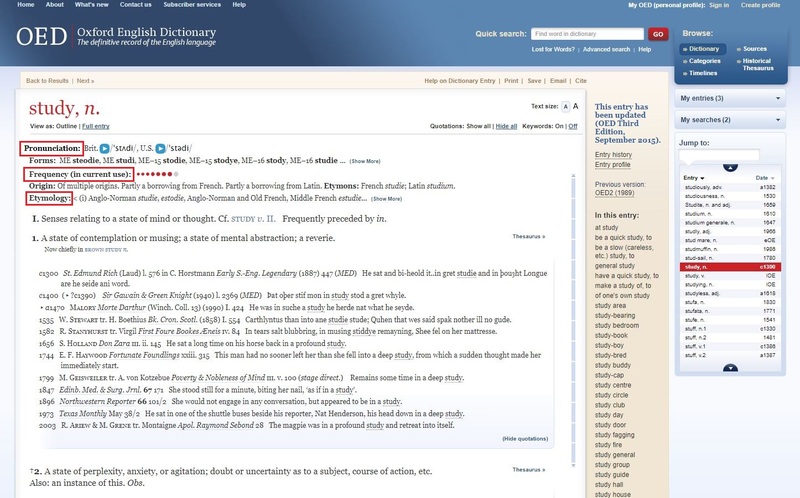 Find all the definitions, the historical mention of the word from the first time they were used, the British and the American pronunciation of the word, the frequency with which the word is used, but also the etymology. For every meaning a list of quotations appears. 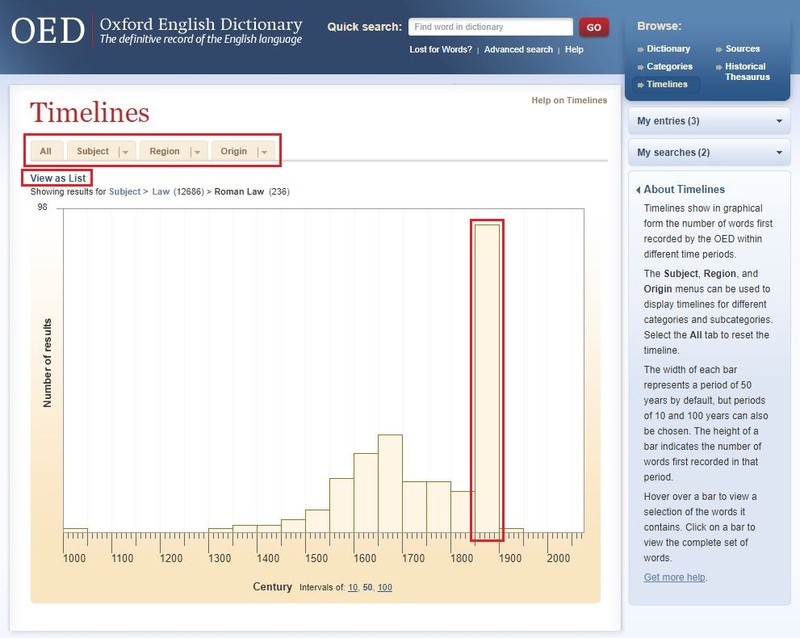 Discover when words entered the English language. 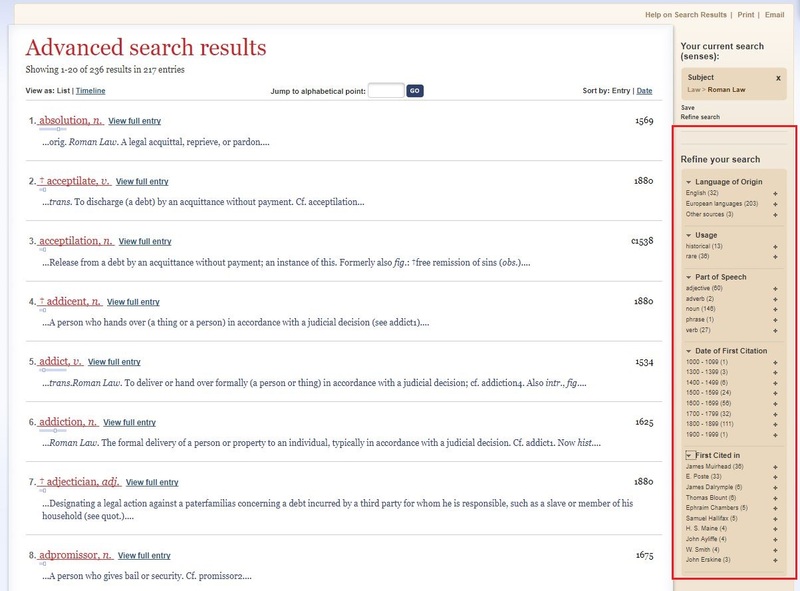 Example: Subject Roman Law, and we noticed that most of words from Roman Law entered in the English language for the first time between 1850 and 1900. 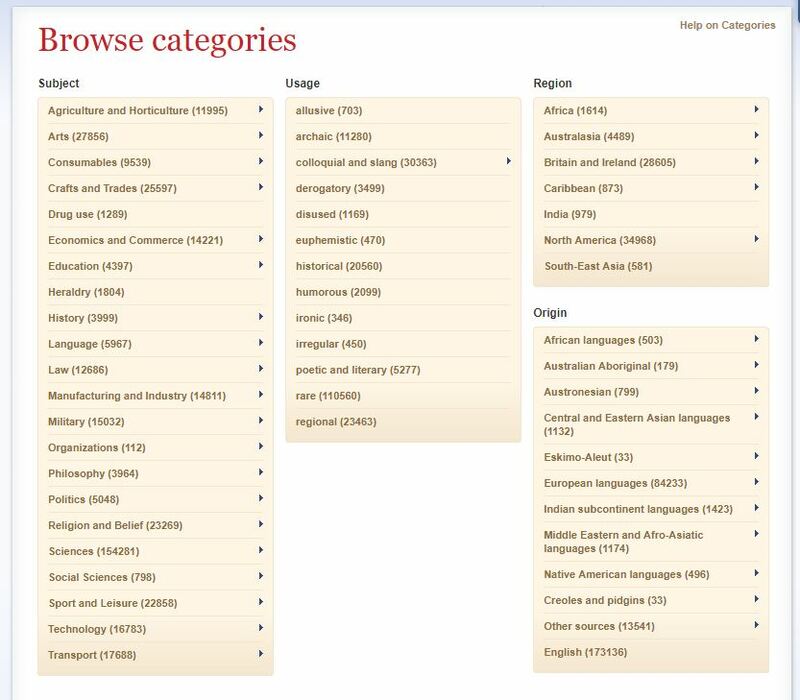 You can browse directly by categories: Subject, Usage, Region and Origin. 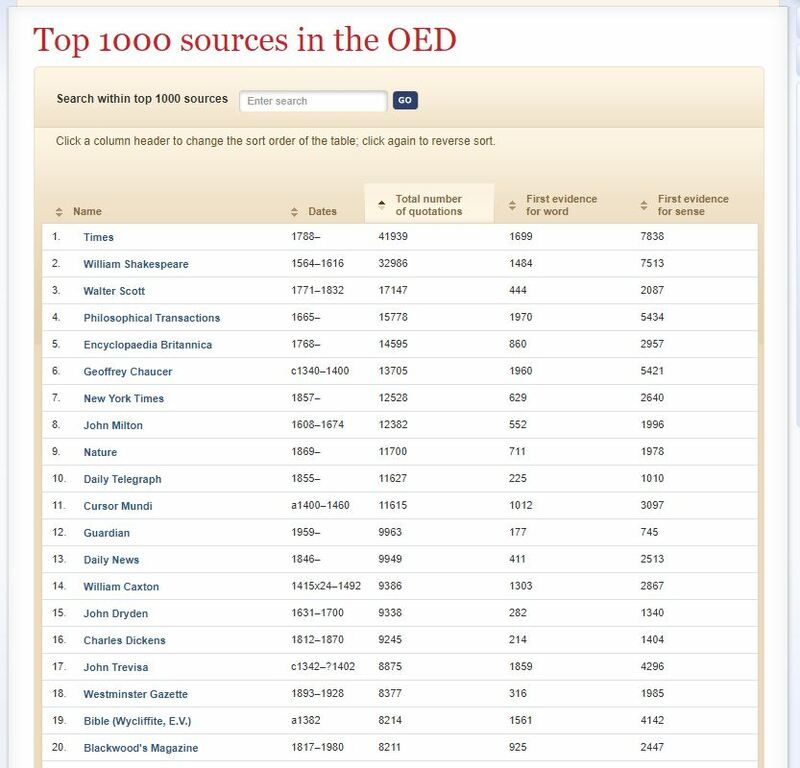 Find how many sources have been cited, when they are the first source known which cited the word. 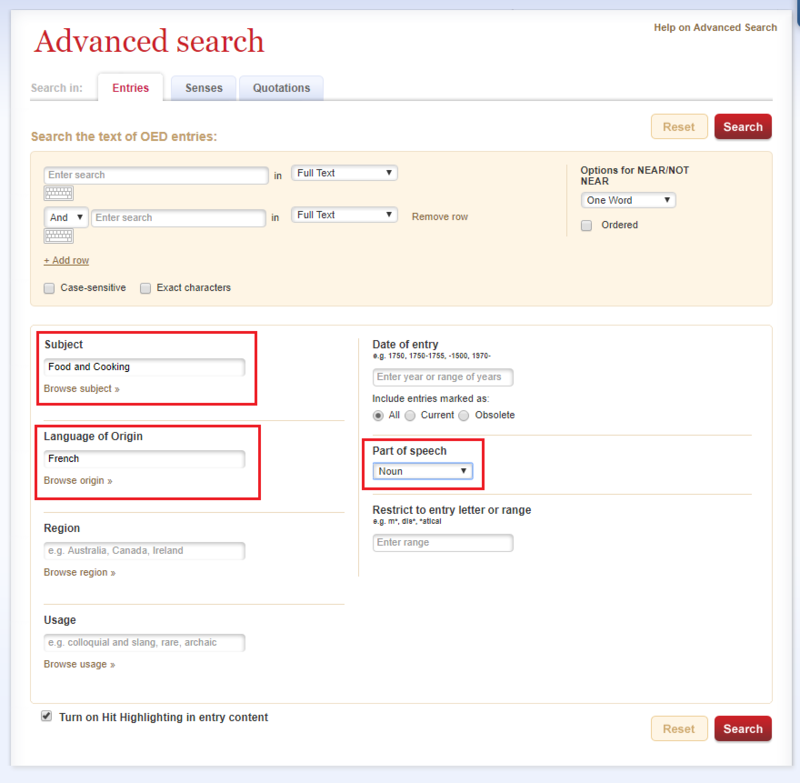 A direct search can be made at the top of the screen. 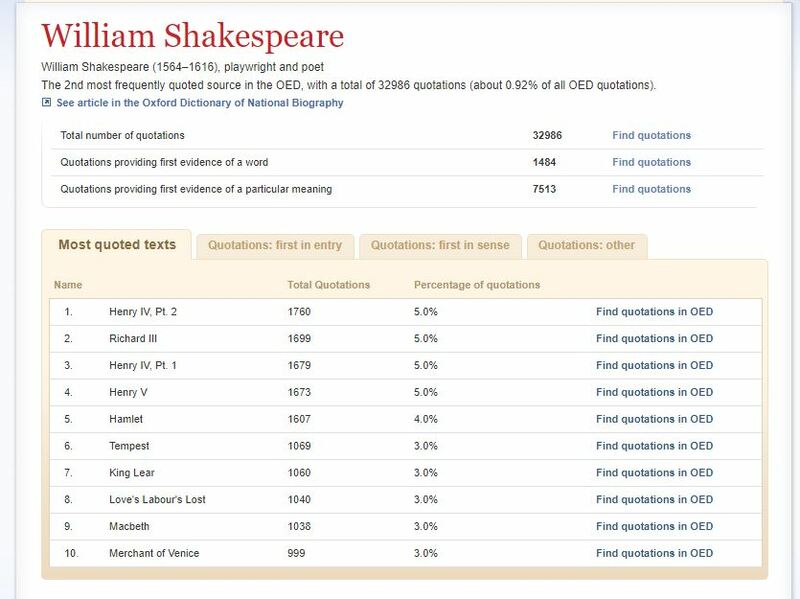 Example: William Shakespeare is the second most quoted source in the OED.